Ewes coming home for lambing. Been on the moor since Christmas. 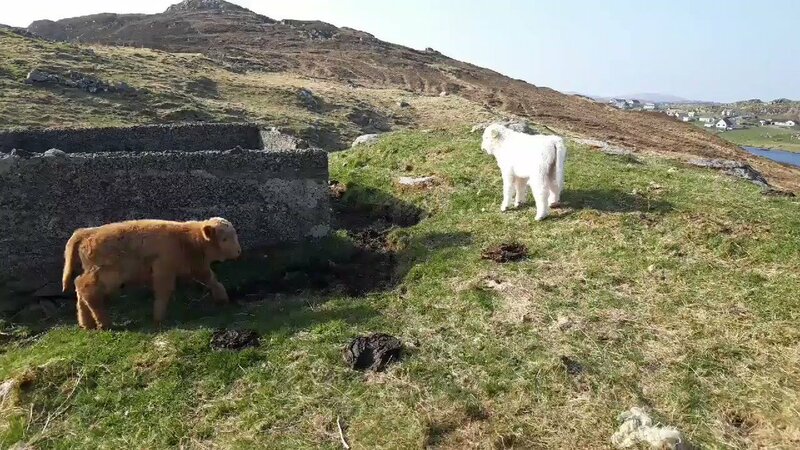 Two little #hebridean #highlander chaps born today. #tolstachaolaishighlanders having silage breakfast. Gulls come to watch.